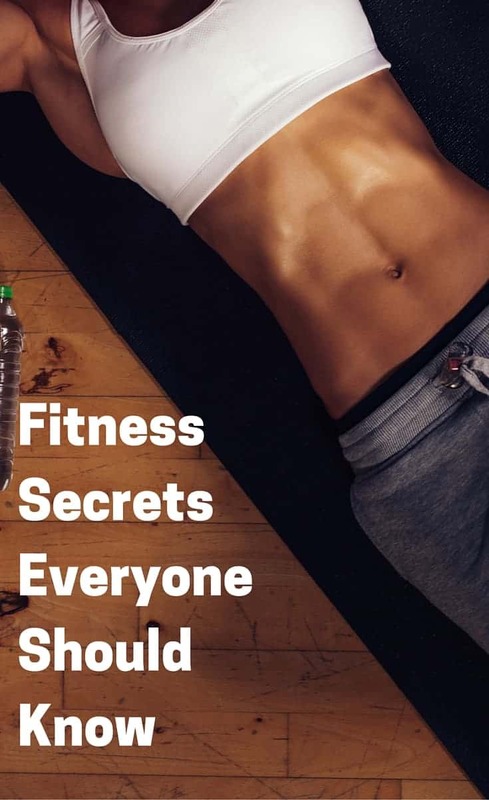 If you popped in yesterday, you read Part 1 of Fitness Secrets I Didn’t Find Out About Much Later and learned how to rebound quickly from dehydration and even better, how to prevent getting to the point of dehydration. There have been several things I have learned over the last few years that have helped me along the way of my fitness journey. I am excited to share these tips with you to help you meet your goals faster and easier! By the way, you are on day 9 of the Weight Loss Challenge! That’s awesome!! Keep it up. Post pictures and tag me in Instagram, send a Snapchat or comment below to let me know how it’s going! There’s a huge part of weight loss that is often missing. It was missing from my life for decades. Have you ever noticed when you lose weight you have a lot of loose skin? Some loose skin is normal (here’s what you can do about that) but if you are like me when I first started to lose weight, I noticed my muscles were pretty nonexistent. There are two ways to lose weight. Or maybe the better way to word it is, there are two ways to get thin. You can just restrict your calories (starve) and lose weight. If that’s the method you use, your body naturally burns muscle and then the fat. Which means you will lose muscle mass along with the fatty tissue. Another way is to restrict your calories, by restricting the junk food, eating more lean protein and load up on healthy prepared vegetables. In addition, you would workout in various ways: cardio, resistance, strength training, or body weight training, to name a few. By working out and using weights, resistance or body weight, you build muscle. No, not the huge bodybuilding muscles – you would have to work really, really REALLY hard to have those. What I am talking about are muscles that you had when you were younger. The ones that made you much slimmer. The cool thing is that muscles weight more than fat, but take up a whole lotta less space. It’s just a tad bit irritating just in the fact that you can’t relish in what the scales tell you after you have lost the initial weight. When I started, I was about 170ish, size 14. Now, I am 135lbs, size 2/4. For another reference point, for most of my life, I have been about 140lbs, size 8/10. See what a difference lean muscle does? For additional information on strength training, read Why Lifting Weights is an Absolute Must for Women Over 40 . It can be a little difficult when starting off a new nutrition plan. Particularly if you aren’t super familiar with macros. Macros are the breakdown of the category of foods: protein, carbs and fat. Depending on your goal, the daily percentage of each category is important to keep track of. Need to figure out your correct balance of macros or more general info on macros? Read this, Why It’s Impossible for Women Over 40 to Lose Weight: Part 4 Nutrition. I use the MyFitnessPal app to stay on track. It also syncs to a lot of popular fitness trackers, therefore will take calories burned into consideration for total daily calories. Another feature of the app is the restaurant assistance it provides. As you are deciding what to order, input the item in the app and you will be able to see the nutritional details to help you make an educated choice. Don’t forget to join the Facebook group for additional support! Don’t forget to tag me in your strength training pics!